Welcome to the world of Vintage Hornby Trains! Come and help us celebrate our 50th Anniversay! The Hornby Railway Collections' Association is 50 years old in May 2019! We are holding a major event to celebrate our 50th Anniversary in the heart of England. It will take place over the weekend of Saturday/Sunday 27th and 28th April 2019. Members of the public are warmly invited to joins us on the Saturday, 27th April 2019. There will be a nominal charge of £5 per adult with accompanied Children free. The charge is to contribute towards the cost of hiring the premises and to cover insurance. HRCA Members can attend on either day free of charge, although Sunday 28th April is a member’s only day. 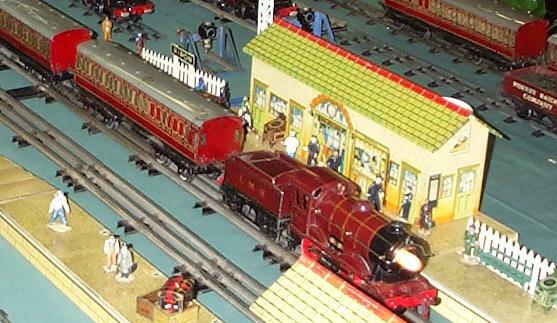 A great variety of exhibits will be on show covering the entire range of Hornby trains from the 1920's to 1960's. There will be layouts in O gauge and Dublo, clockwork and electric, Displays including a test track and spares and sales tables with Hornby related items. On the Sunday there will be a Bring-and-Buy stall. Opening hours: Saturday 27th April 2019 10am to 5pm (non-members welcome), Sunday 28th April 2019 10am to 4pm (Members only). A warm welcome to the Hornby Railway Collectors' Association. 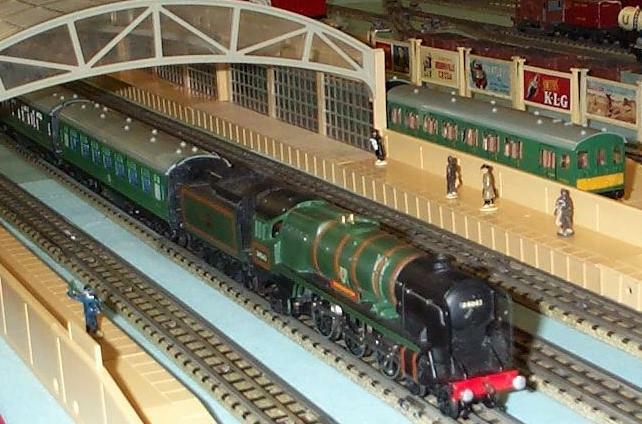 Did you ever play with Hornby 0-gauge or Dublo? Then you'll enjoy this website. The society organises many area meetings throughout the country, produces a monthly journal ('the Collector'), and has links with a number of sister organisations abroad. There are thousands of us across the country and round the world - join us! Certain parts of this website are for members only including a Forum and Wiki. The HRCA is a non-profit-making organisation, founded to stimulate interest and facilitate communication among collectors and operators of Hornby Trains and accessories, specifically the '0' Gauge, Dublo & Acho ranges, as manufactured by Meccano Ltd. in their British factories up to 1965 and overseas up to 1973. Feel free to browse the website to get more information about the society and its functions, and be sure to consider applying for membership. You are welcome to browse this website and visit the Photo Gallery. Click here to see the full list of membership rates and application forms. The HRCA now has a presence on Facebook! Whilst our Forum, Wiki, Auction Catalogues, On-line Journals (and more) remain in the 'members only' arena, you are very welcome to post your pictures and comments on our Facebook pages. If you like what you see then please do consider becoming an HRCA member. Our membership rates are very reasonable and we even take PayPal these days!